On International Women’s Day, here’s a look at how times are a-changin’ for a woman playing a sport in India. The Olympics in Rio was the biggest sporting event of 2016. 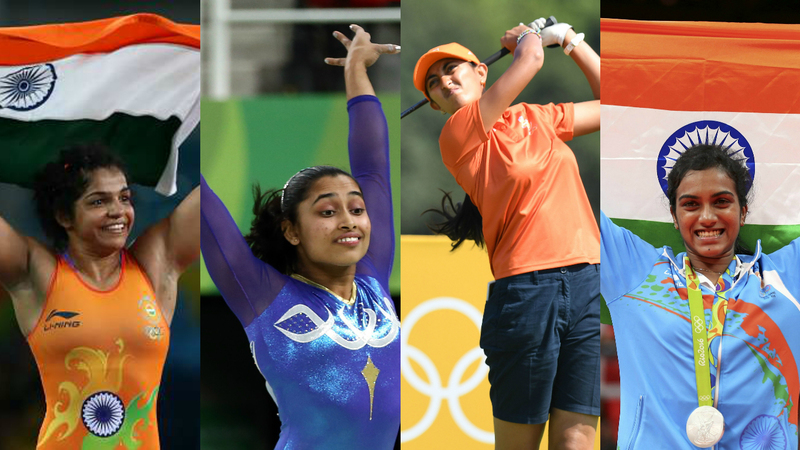 For Indians, the Games were largely disappointing but it gave the country new sporting icons to look up to – the two medal winners Sakshi Malik and PV Sindhu, and Dipa Karmakar, whose ground-breaking achievements in gymnastics, a sport barely pursued in India, kept her on par with the medalists. Later that year, the Aamir Khan-starrer Dangal released and became the highest-grossing film in Bollywood. It was the semi-autobiographical story of the Phogat sisters, Geeta and Babita, who were the trailblazers for women’s wrestling in India. 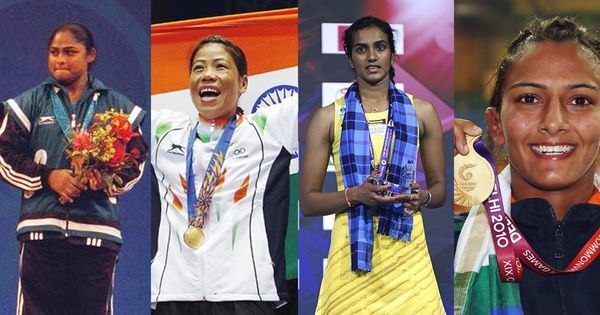 By the time 2016 – a year known for its notoriety in news – ended, these sportswomen were household names across India and their stories were recounted with pride. In a country that is extremely jingoistic about sport, sportsmen who win laurels for India internationally are revered almost religiously. Yet, very little of that reverence extends towards Indian sportswomen – a section of India’s sports fraternity that is perennially under the shadow, either due to their male counterparts or because of the blatant lack of light on their achievements. How many people will remember that Harmanpreet Kaur scored a penultimate ball six to give India their first ever ICC Women’s trophy less than a month ago? But how many have forgotten the six that Rohit Sharma scored in a match years back? Most people can probably recall the dialogues and perhaps even the name of the actresses who played hockey players in Chak De! India, but will be hard-pressed to name the captain of the Indian women’s hockey team. There has always been a noticeable distinction in fans’ and, to some extent, media’s following of men and women athletes. But how much of this distinction is discrimination and how much of this discrimination goes beyond the average sports fan is the question. Both George and Bhagwat insist that they did not face any gender bias in their playing days and had all the support from their families. The problem, then, was different; their respective sport wasn’t even considered a professional calling. But as both sportswomen assert, individual sports have it much easier as compared to team sports. Snehal Pradhan, former India cricketer, had a rather distressing account to share when asked if she had ever faced some obstacle in her career simply because of her gender. The sad truth is that such incidents are not an aberration. Any woman who has actively followed or played a sport will have faced this sort of bias from the opposite gender some time, even if from initiated quarters. As someone interested in sport from the sidelines, I have had to deal with sexist comments on multiple occasions while only watching a match in a stadium, so it is not hard to imagine what women who pursue sport as a profession might have to face at the ground level. 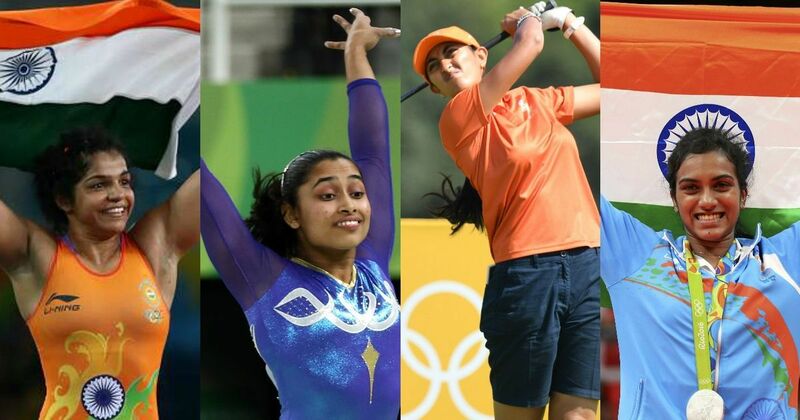 There is no need to elaborate on the kind of bias sportswomen – or even women – have to face in India. Films like Chak De! India and Dangal did a good job of highlighting most of them – familial and social pressure, idle gossip, objectification, et al. However, it is not just this discrimination they have to fight. There is a bigger evil – apathy. What can sportswomen do if the federations in charge of helping them develop don’t invest in them enough? Pradhan has in the past actively campaigned for India Women to have their own social media account, when the scores of international women’s matches were tweeted by the BCCI Domestic handle, and to have live coverage of the women’s matches. A Twitter handle is a relatively a small thing, but it is indicative of the indifference women’s sport have to often put up with. But then again, within this quagmire, there are the bright spots emerging – the stories of not just success, but of successful developments. The times they are a-changin’ indeed, in the words of a certain Nobel Laureate. In cricket, the recent overhaul by the Supreme Court meant that for the first time ever, there is proper player representation in the BCCI leadership. Diana Edulji, one of the leading lights of women’s cricket in India, is on the Committee of Administrators looking into BCCI’s affairs and we can be assured that she will continue to tirelessly champion her cause from her position as well. “The fact that there is a Lifetime Achievement Award for women is the first tangible difference it has made,” said Pradhan. But perhaps the most heartening of things is how the women come together to support each other, in true spirit of the shine theory. Anjali Bhagwat recounted the life-changing relationship she shared with her fellow female shooters and how it helped them continue their careers. 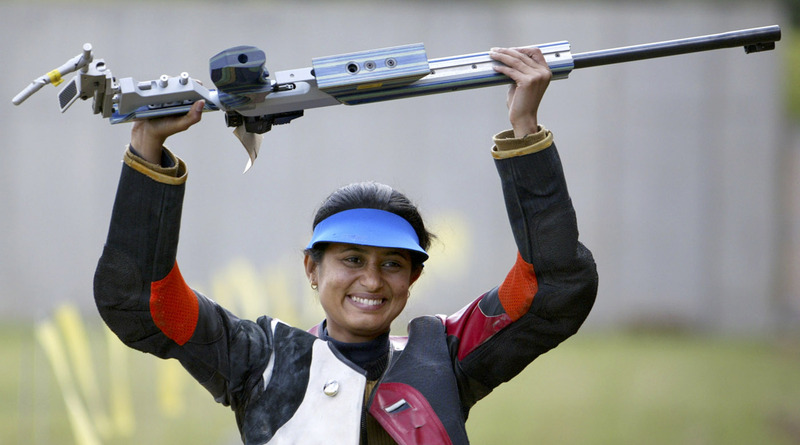 “While we did not have any infrastructure or technical support or facilities, we survived in this arena due to our friendship – all five of us girl cadets started together and we were and are still are close like a family,” Bhagwat said, about the sisterhood between her comptempoary shooters – Suma Shirur, Deepali Deshpande, Anuja Jung, and Kuheli Gangulee. It is nothing short of inspiring to see these women stand united and stand up for each others. 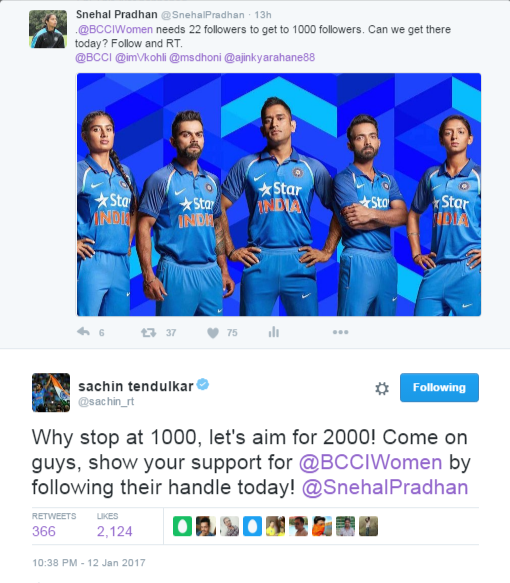 This is the kind if support women need to become a force in Indian sport. We see it often, from the playground to the highest level, stories of women supporting each other. Sportswomen have often spoken about how their families, parents and in-laws were very supportive and how they couldn’t have made it otherwise. In fact, a woman athlete might not be unable to make it to even the national stage without her family’s backing, as romantic as the notion sounds. And we can all see the change, slowly but surely creeping in. The 2016 Olympics were further proof of that, as India’s women athletes left behind their male counterparts. Malik and Sindhu won medals, Karmakar and Sania Mirza (with Rohan Bopanna in mixed doubles) narrowly missed bronze, Aditi Ashok, Dutee Chand and Lalita Babar broke new ground, the Indian women’s hockey team actually qualified and competed tooth and nail. This is the shift in perception and performance that gives hope for the current and upcoming generation of women athletes in India. For all the Da Da Ding ads and films like Dangal, it is also the impressive performances of India’s sportswomen that is bringing about a change – if not a systemic one in the majority mindset, at least a tangible one in the attitude towards women athletes. Yes, we need success stories for women’s sports to get more recognition, but we need more support and investment before getting there. All the stakeholders in Indian sport should be responsible for this – the sports ministry, associations, the support staff, the media and even the spectators and fans. This Women’s Day, here’s hoping that the times will indeed change for a woman playing sport in India.